In summer 2008 I had the pleasure to meet Amy and Tom for the first time. She is a lovely Irish girl and he is a handsome English guy. Such a great couple! 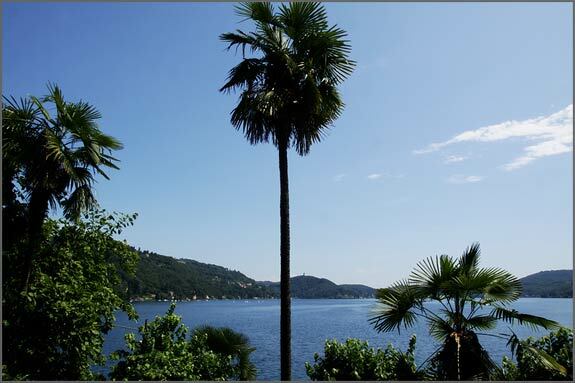 After visiting many venues across Northern Lakes area they reached Orta San Giulio and they fell in love with that immediately. 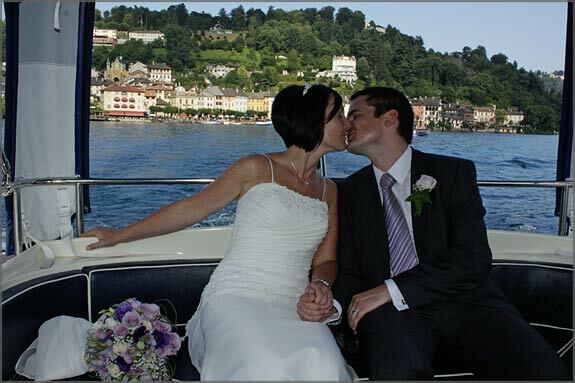 Amy and Tom thought that Lake Orta incorporated the precise idea they had for an intimate and romantic wedding on the lake. My first wedding of Summer Season 2009 was Amy and Tom’s: 3rd July 2009. Amy arrived some days before to settle in Orta and define some last details. 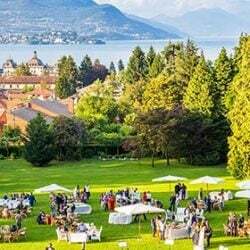 She spent some lovely days before the event, with her parents and family in a lovely villa on the lake that I often suggest to my couples. It is just in front of Ortello Gulf. And finally the wedding day came! Amy and her father took a nice walk from the lovely house on the shores to reach village church. Tom, flower girls, purple dressed bridesmaids and all guests were all waiting for her there. Lilac was the theme of whole wedding. Amy choose this wonderful color for her main theme and Monika Andenmatten from La Piccola Selva created wonderful arrangements to accomplish her desires. She based her work on a color palette going from white to purple-lilac. Monika created wonderful church arrangements for the balusters and external columns of the church itself. At the end of the ceremony… just a lovely kiss of bride and groom! Photographer Andrea Dapueto took a wonderful shot of it. 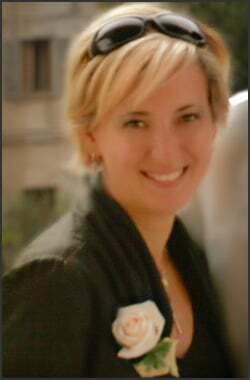 Andrea Dapueto was the perfect reporter for such a wonderful event. 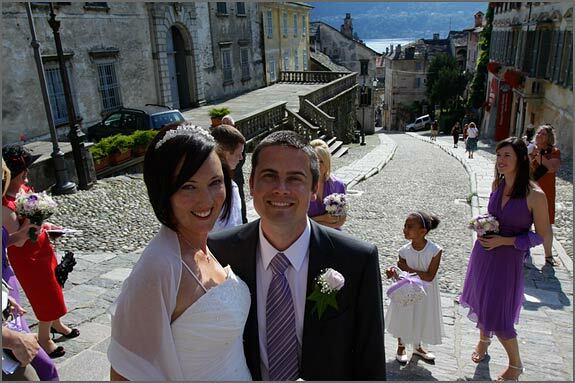 Amy and Tom walked to Orta Main Square to congratulate with relatives and friends. After many kisses and hugs, Amy and Tom decided to take some time for themselves on a motorboat to reach St. Julius Island. St. Julius Island is the perfect setting for unforgettable wedding pictures. Have a look to this wonderful “stolen” shot taken by Andrea Dapueto Photographer! A very special mention to bride’s dress. Amy choose a simple dress for sure but it was very detailed indeed! It had on laces and bright crystals matching tiara in her hair. Tom had on a wonderful Italian suite, what else? Perfect Italian style. We can not forget about bridal bouquet! Simply amazing! 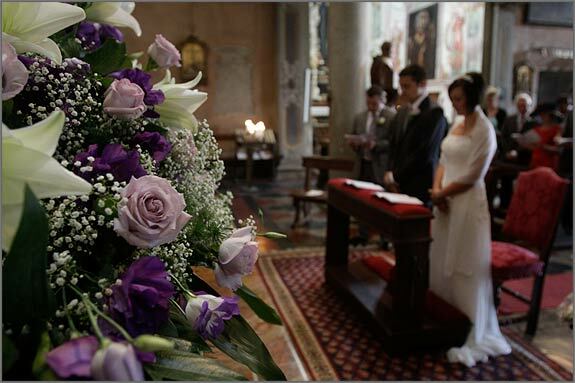 Monika created for Amy a romantic teardrop bouquet based on bride’s colors. 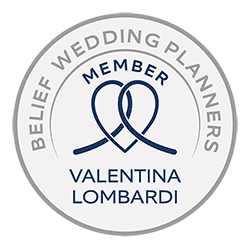 It matched perfectly bridesmaids’ dresses, groom’s tie and many other details. Monika used mainly Roses, Lisyanthus Eustoma in many shades from white to purple-lilac. 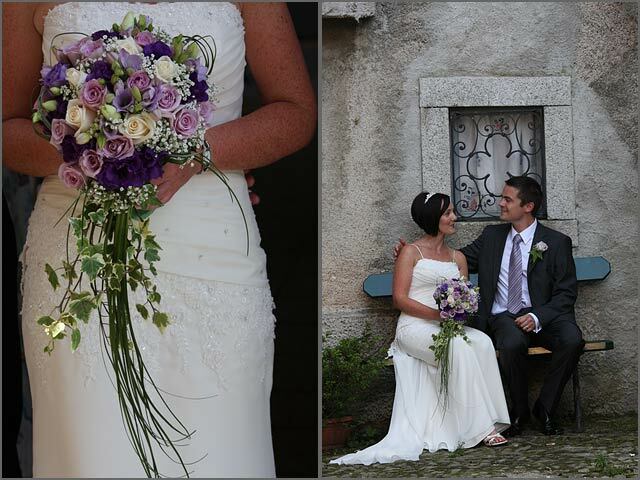 Final touch were falling Bear Grass and ivy greenery that gave a romantic and vintage touch to the bouquet. 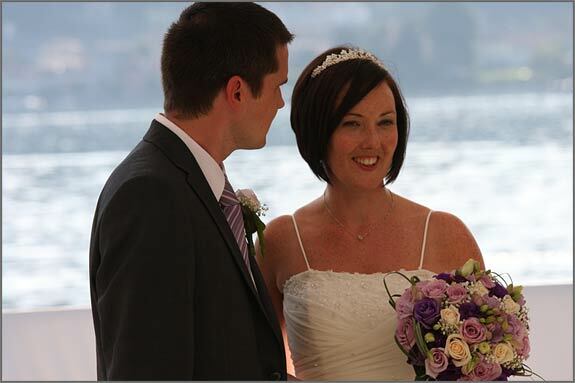 All was studied in perfect harmony with bridal dress and style of the event. 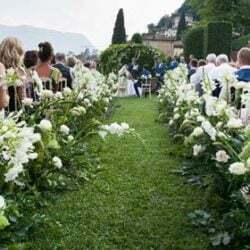 Right after their boat trip, bride and groom reached their guests to Hotel San Rocco for a nice aperitif on the terrace accompanied by classical music and followed by a gourmand dinner prepared by skillful chef and his staff. Monika Andenmatten created lovely centerpieces for dinner reception. 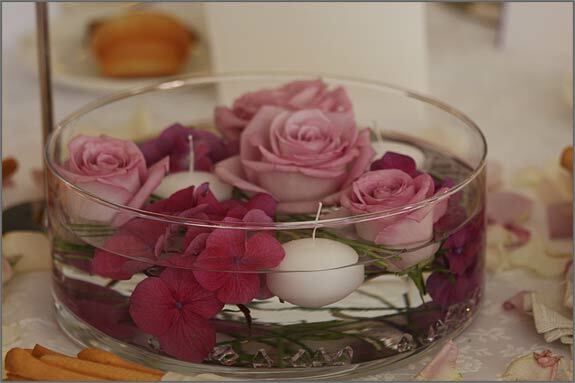 They were simple but elegant with floating candles and flowers such as rose blossoms, Hyrdangea petals and Steel Grass on a base of little stones similar to little diamonds. 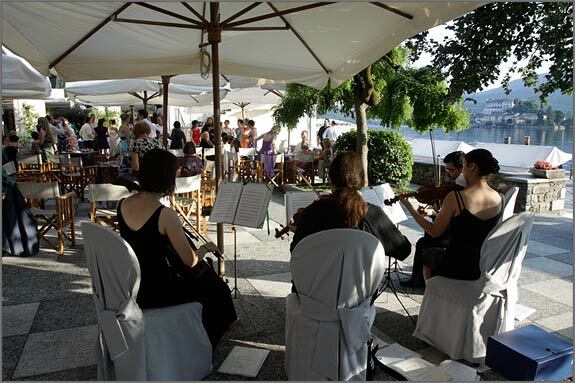 Thanks to wonderful a summer night, party continued on the terrace with music, dances and lot of fun under a wonderful sky of Lake Orta. A fairly tale scenery for a very sweet couple! 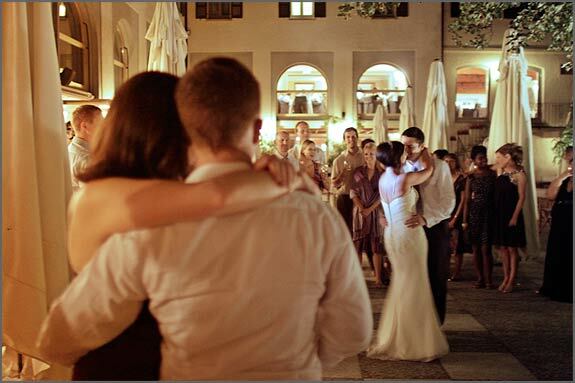 For more information about weddings on Lake Orta – please contact us. Wow, what a beautiful location! I loved the colors of this wedding as well, and her dress is just lovely. I have always wanted to visit Italy, now even more so! Thank you so much for your lovely appreciation!!! 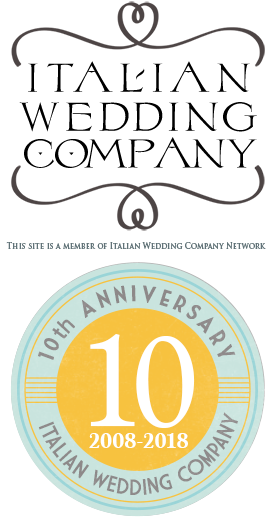 When you will decide to come to Italy just give us a call! 🙂 Thanks again! Valentina. 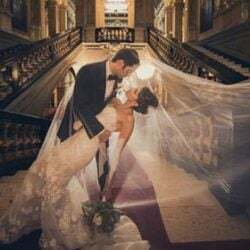 Best wedding ever!!!! The planner was so organised and did an incredible job. The day wouldn’t have been the same without her!! 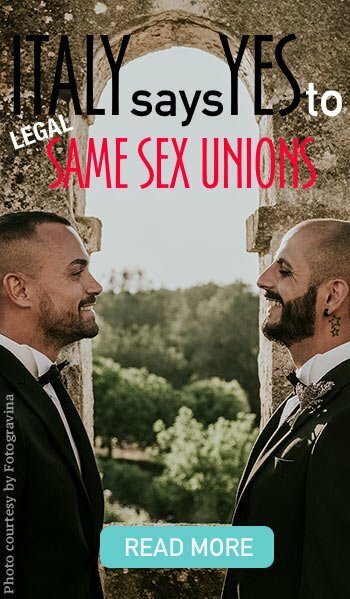 I hope lots of couple have the experience our family had! Thank you Lisa! This is so sweet from you! Your words are the best compensation I could get or think. I love when people have fun and great time! I really do not know what to say….thank you so much for your words. Best to all of you!! 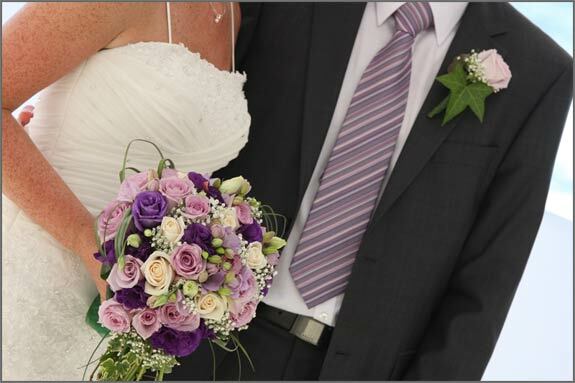 Such a beautiful wedding, this is going in my inspiration folder, love purple and the bouquet is just stunning!